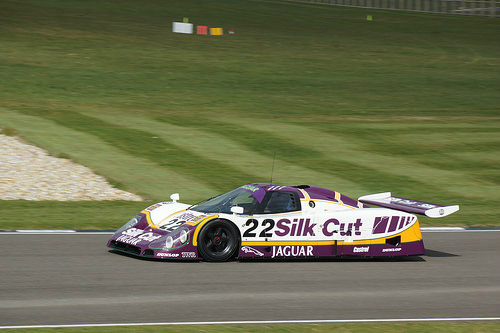 In 1987, Tom Walkinshaw Racing, in conjunction with Jaguar, introduced the Jaguar XJR-8 sports car racer. Powered by a modified Jaguar 5.3 Litre V12 engine, from the XJS saloon, whose capacity had been increased to 7 litres, it developed 720 bhp, and produced a top speed of 220 mph. Although 64 cars were built that year, it was redesigned in 1988, with an upgraded chassis, to evolve into the XJR-9 variant. This had its debut in 1988 at the Daytona 24 Hour race where it won overall. However, the real prize was Le Mans. 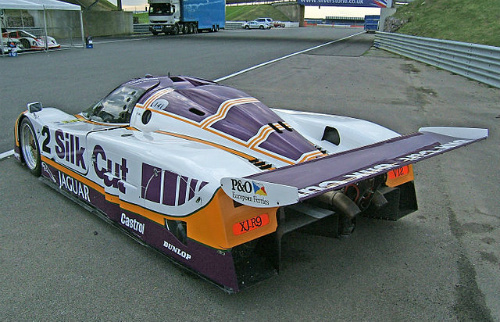 Accordingly, a version of the XJR-9 was introduced, and designated the XJR-9LM, designed specifically to meet the requirements of the renowned high speed Mulsanne straight. Fitted with carbon fibre composite body panels and monocoque chassis, and vented disc brakes all round, it had a curb weight of 881 kg. The 7 litre V12, SOHC, fuel injected engine, with a 12.0:1 compression, developed 750 bhp at 7200 rpm and 611 ft/lbs of torque at 5500 rpm. Linked to a March/TWR five speed manual gearbox, it produced a top speed of 245 mph. 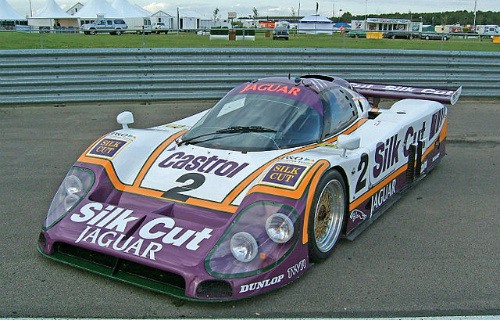 The result was that a five car XJR-9LM works team won the 1988 Le Mans 24 Hour race, which was the first time Jaguar had won the race since their D-Type victory in 1957. 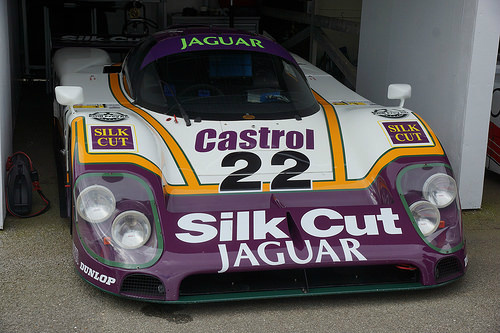 Of the eleven race series in 1988, the XJR-9LM secured five further victories. However, in 1989, the car had become outdated, and was succeeded by the XJR-11, with the carbon fibre XJR-15 road legal sports car a year later.